An intensive 5-day course designed to accomplish Level 2 competency or progress to Level 3 competency in interpretation of cardiac CTA as recommended by the American College of Cardiology and American Heart Association. This activity is intended for cardiologists, radiologists and physicians seeking Level II or III competency training as recommended by the ACC. Knowledge of the physics of CT and radiation generation and exposure. Knowledge of scanning principles and scanning modes for non-contrast and contrast-enhanced cardiac imaging using multidetector and/or electron beam methods. Knowledge of the principles of intravenous iodinated contrast administration for safe and optimal cardiac imaging. Knowledge of recognition and treatment of adverse reactions to iodinated contrast. Knowledge of the principles of image post-processing and appropriate applications. Clinical knowledge of coronary heart disease and other cardiovascular diseases. Knowledge of normal cardiac, coronary artery, and coronary venous anatomy, including associated pulmonary arterial and venous structures. Knowledge of pathologic changes in cardiac and coronary artery anatomy due to acquired and congenital heart disease. Basic knowledge in ECG to recognize artifacts and arrhythmias. Knowledge of normal thoracic arterial anatomy. Knowledge of pathologic changes in central arterial anatomy due to acquired and congenital vascular disease. The Johns Hopkins University School of Medicine has designated this educational activity for a maximum of 41 AMA PRA Category 1 Credit(s)TM. Physicians should only claim credit commensurate with the extent of their participation in the activity. It is the policy of the Johns Hopkins University School of Medicine that the faculty and provider disclose real or apparent conflicts of interest relating to the topics of this educational activity, and also disclose discussions of unlabeled/unapproved uses of drugs or devices during their presentation(s). Johns Hopkins University School of Medicine OCME has established policies in place that will identify and resolve all conflicts of interest prior to this educational activity. Detailed disclosure will be made in the course handout materials. 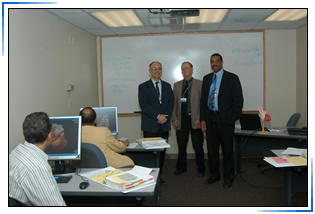 Some equipment utilized in this course was provided by an unrestricted grant from Toshiba. Conveniently located off Interstate 895, the Johns Hopkins Bayview Medical Center is the site of the meeting. Directions to campus parking will be mailed with your confirmation notice. Handicapped parking is available. Johns Hopkins is smoke-free.